Some people call them Environmental Assault Vehicles. Others can’t live without them. For General Motors Canada and Whistler/Blackcomb Resorts, they’re the perfect promotional vehicles. They’re Sport Utility Vehicles, or SUVs. People love to complain about them–they block visibility, guzzle gas, take up two parking spaces. But British Columbians are active people. And in Vancouver, where people do golf and ski in the same day and kamikaze soccer moms run rampant, SUVs are must-haves. SUVs are the vehicles of the moment. Their 4×4 capability allows owners to go off-road (5% actually do; the rest go to the mall). They can handle different road and weather conditions, they’re flexible. 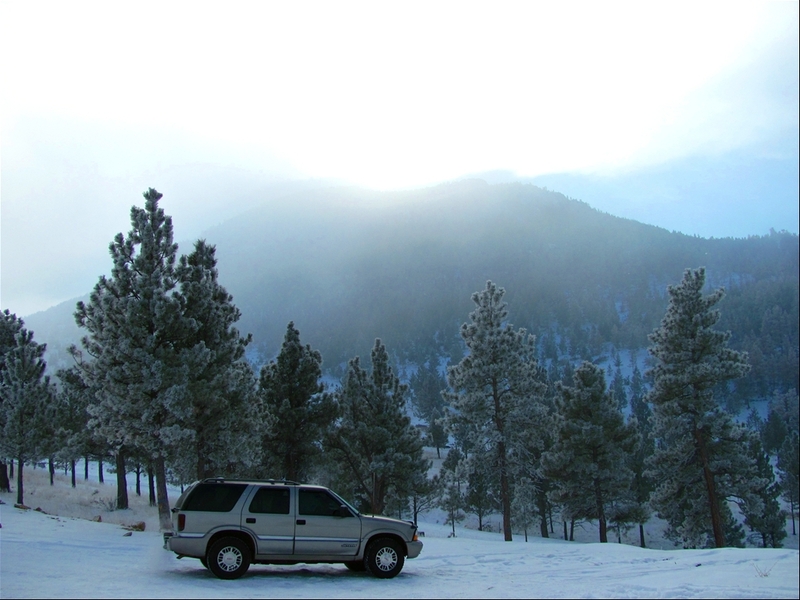 SUVs are not cars–they’re trucks with car characteristics. And, in Vancouver, the sport utility market is 45% of the truck business; much higher than in other markets. Ten years ago, the sport utility vehicle market consisted pretty much of Range Rovers and Land Rovers, which were exclusive to the wealthy. Then there were the trucks and boxy 4x4s driven, in the main, by the blue collar crowd. Those who wanted more space drove station wagons. Then people tired of wagons and went to mini-vans. There’s nothing remotely cool about mini-vans; SUVs were the next logical step. The industry-wide transition–from van to SUV, from blue collar to white collar–began in 1993. It coincided with a rise in disposable income, an increase in the number of people having children and, in the case of BC, an increase in the number of vacations taken at home. At the same time, SUVs became more rounded and elegant in appearance. They were sold with embroidered or leather seats, state-of-the-art stereo systems, sun roofs, air conditioning, heated power windows, power steering, power brakes. They became large luxury cars. Despite ever-increasing awareness about environmental issues, sales of SUVs are booming–Ford now sells more trucks than cars. The small car market is still almost half the total car market and vans account for 30% of the truck market, but SUVs are taking over. 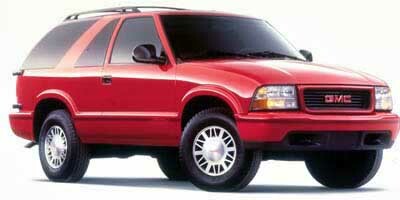 However, by 1996, while everyone else’s SUVs were flying out of showrooms, sales of the GMC Jimmy had declined. It had an image problem. So the Jimmy’s image needed a socioeconomic up-grade. What better way to achieve that than by tying it in with one of the world’s most socioeconomically exclusive activities–and one of BC’s most popular activities–skiing? 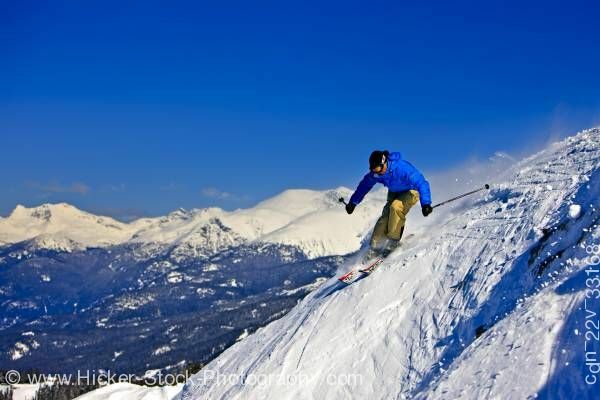 Skiing, specifically, at Whistler/Blackcomb, North America’s top ski resort. To which, for the past ten years, GM has had the exclusive car manufacturer’s product placement rights. The solution was stunningly simple. Beginning in September 1997, the ‘97 GMC Jimmy became available in a Whistler edition and a Blackcomb edition. Vehicle badging was created. The truck was outfitted with running boards, leather interiors, CD players and Thule ski racks. People who purchased the Jimmy received fleece jackets or vests with the Whistler/Blackcomb logo, as well as the Whistler/Blackcomb Express Card (for direct-lift, lower-cost skiing on a debit basis). As promotions go, it was not terrifically complicated, either to understand or execute, but it was a tremendous success. With a budget of $300,000., MacLaren conducted a province-wide newspaper campaign. In the Lower Mainland only, the promotion was advertised on radio and TV, plus on billboards and through traffic report sponsorship on Mountain FM. In addition, the agency obtained the Whistler/Blackcomb data base and a direct mail piece was sent to all Express Card and season ticket holders. The target market was the 30-50 age group with earnings of $35,000.-$40,000. And while this was going on, there were Jimmys parked at the base of Blackcomb and in Whistler village; every time someone walked by and triggered it, an automated tape touted the vehicle’s benefits. The promotion’s effectiveness was quickly apparent–sales of the Jimmy went up 38%, or just under two market share points. So last year, the promotion was repeated. 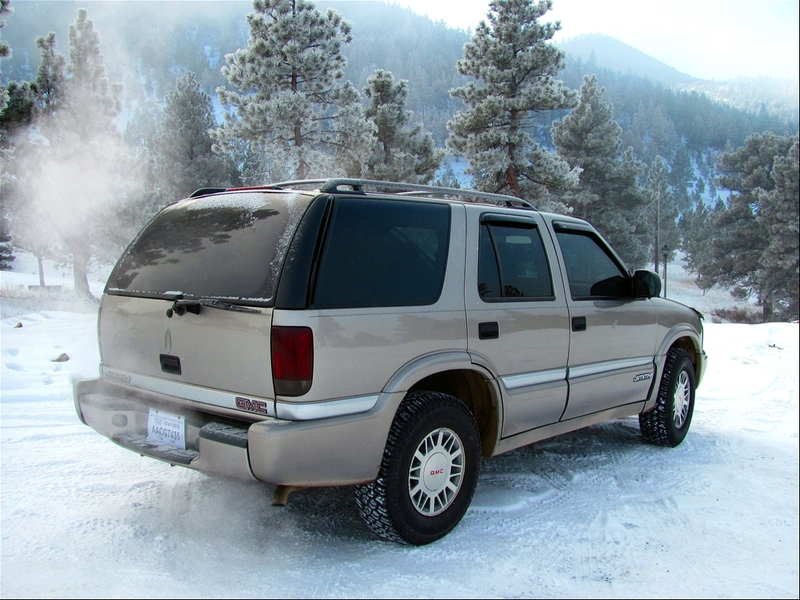 But GM has other vehicles serving this market segment–the Yukon and the Suburban. So last September, the promo included the three vehicles and used the same strategy. Jimmy sales went up 40% in September, 69% in October, 43% in November and 149% in December. Yukon sales went up 15.3%, Suburban sales 47%; with respective share climbs of 3 and 4.8 points. The whole GMC target group has changed; the blue collar image is gone. Which is not to say that an entire market segment has been shut out. It’s true that SUVs are expensive and if you have to worry about the cost of fuel you can’t afford one. The hottest category of SUVs is the mid-size–the GMC Jimmy, Ford Explorer, Chrysler Grand Cherokee, Toyota 4Runner and the Nissan Pathfinder. Those run in the $44,000. range. The large size SUV is increasingly lucrative; this is where you find the GMC Yukon and Ford Expedition ($48,000.) and the GMC Suburban and GMC Tahoe ($52,000.). However, with $4,300. down, you can lease a Jimmy for $338. a month which, obviously, was a figure which appealed to British Columbians in various income groups. And the benefits of the Jimmy were communicated in such a way that it increased the purchase intent of those who, in a market already favourably disposed toward an SUV, were thinking of buying one. The decision to buy a vehicle involves a six-month purchase funnel. When a consumer decides to buy a new car, he will spend two months looking at different makes and deciding what type of vehicle he wants–a mid-sized car, an SUV etc. Over the next two months, he’ll narrow his choices; he knows what type of car he wants, now he has a short list. In the fifth month, he will further narrow his choices and decide on the style he needs; in the sixth, he makes his final decision based on price and options. For manufacturers, image advertising–particularly in print and television–captures the attention of the purchaser in the first five months of the funnel. It’s the promotions, packaging and pricing which catch the buyer in the last month–this is how the manufacturer moves up on the buyer’s list and affects purchase intent. The creative strategy for the Jimmy promotion was simply to create an aspirational vehicle image and move that image higher up on the purchase funnel. Experience and focus group testing showed that the best approach was the straightforward one–no dancing girls, no silly humour. “We want our creative to be tasteful,” says Brian Webber, Zone Marketing Manager for GM BC. “We want to communicate specific information and we don’t want clutter. People who buy these vehicles are sophisticated; they know what they want and they want you to cut to the chase–state the features and benefits, the price, the lease payment, the down payment. 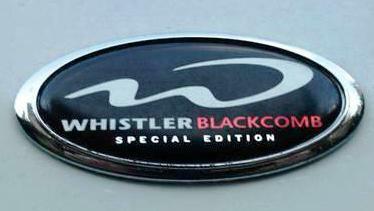 The success of this promotion is clearly indicated by the fact that people are still asking for the Whistler and Blackcomb editions, even though last season’s advertising stopped in January. Not all Jimmys have the badging, but that hasn’t hurt sales. The attributes and image of the GM vehicles, and their association with the glamour and excitement of Whistler, have made such an impression on people that they’re buying them anyway. Woodburn couldn’t be happier with the GM promotion–for the price of the give-away merchandise, Whistler/Blackcomb has been able to expand its relationship with GM outside of the resort and, in the process, advertise itself. “It’s always a struggle for us, as we go through the winter, to remind people in the Lower Mainland that Whistler/Blackcomb does not suffer the same rainfall that the Lower Mainland does. We need to get in people’s faces as often as we can and this way a great way to do that. The fact that our logo was on the back of a high-quality 4×4 vehicle communicates the nature of Whistler and continues with the culture that people enjoy here. The displays in show rooms, the direct mail campaigns, the advertising–it all helped us. But the greatest value to us was having the logo on the back of the vehicles. Someone’s sitting at a red light staring at our logo on the vehicle in front of him, he thinks of his experience here, it elicits fond memories and stimulates another visit. This entry was posted in Automotive Industry, Marketing & Advertising, Public Relations and tagged Chevrolet S-10 Blazer, General Motors, General Motors Canada, GMC Envoy, GMC Jimmy, Jimmy, Land Rover, sport utility market, Sport utility vehicle, sport utility vehicles, SUV, transportation, Vancouver, whistler blackcomb, Whistler/Blackcomb Resorts.